Gluten is the natural protein found in the grains: Wheat, Barley and Rye. You hear bakers and bread makers talk at length about the ‘gluten’ in the wheat flour that goes all stretchy when they kneed the bread and which forms the structure of the bread. Gluten is not in fresh fruits, vegetables, meat, fish, poultry, eggs, dairy, nuts, seeds, pulses and rice – however, if you buy some things pre-packaged they may have added wheat flour for what ever reason so it’s always best to check the labels. In my cooking I always use guaranteed gluten free products, most of which are labelled gluten free or are especially made to be gluten free. 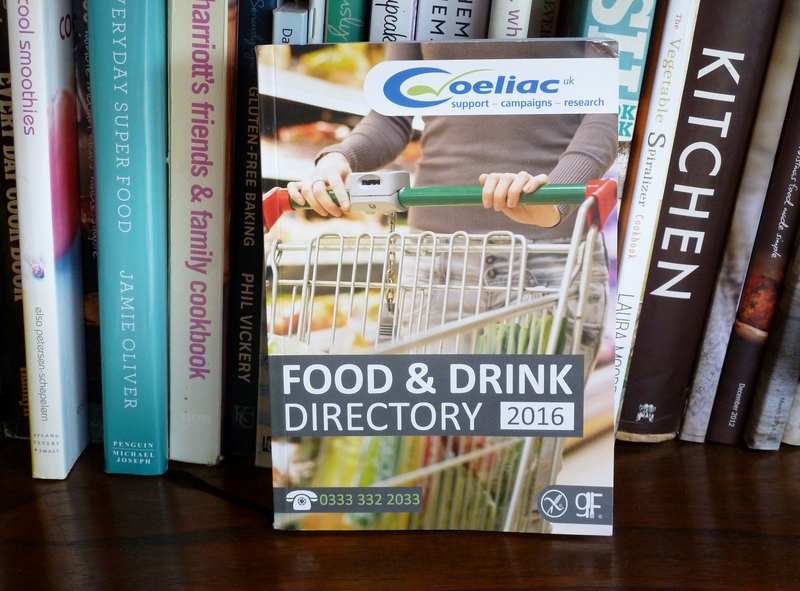 If it’s a general item, I always check the ingredients and any allergy warnings and I also double check the product in my ‘Food and Drink Directory’ that I receive from Coeliac UK as I am a member. I also, get regular updates for the book.